With so much hype surrounding the quarterback battle that is set to take place with the beginning of spring practices, it is easy to overlook the tools that will make or break whoever comes out of that battle on top. Namely the wide receivers. 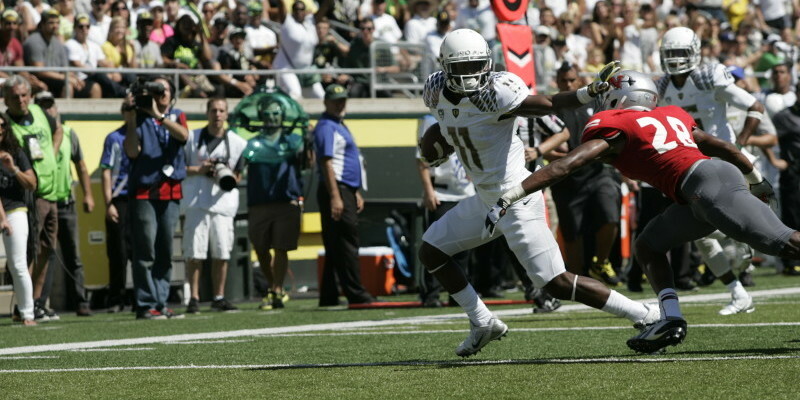 The Ducks are known for their lighting fast offensive attack and their wide receivers are major contributors, with young players such as track star Devon Allen as well as Byron Marshall, who has shown off his speed between the tackles as well as after the catch, playing receiver and running back. The wide receivers are set to get a boost this year in terms of production and competition with the return of Bralon Addison. 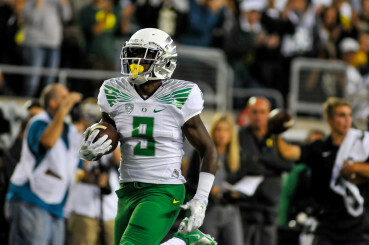 Marshall led all Duck receivers with 1,003 receiving yards in 2014. Chris Low of ESPN.com mentioned Addison on his list of players that have the most to prove this spring. After a strong sophomore season in 2013, Addison was unable to play in 2014 after tearing his ACL last spring. He was the second leading receiver for the Ducks in 2013 behind Josh Huff bringing in 61 passes for 890 yards and seven touchdowns that year. All of the receivers will face the challenge of learning how to work with a new quarterback on a regular basis, but Addison will have the added pressure of returning from an entire season with no live-game action. There were rumors that he would make an appearance in the National Championship game against Ohio State but as Low points out, the Ducks didn’t want him to lose an entire year of eligibility for a single game. If the only reason for keeping Addison off the field was an eligibility issue however that is good news for Duck fans, indicating that spring practice will be more than extended rehab for the redshirt junior. With minimal losses at the wide receiver position and the promise of having Addison in addition to Allen back from injuries and Darren Carrington from his suspension, the passing attack looks full of potential for the Ducks in 2015. While we don’t know for certain who will win the starting quarterback job, there is one thing there is no doubt about — there will be no shortage of weapons down the sidelines.